Qatar Airways Cargo has launched Boeing 777 freighter operations to Almaty in Kazakhstan, a new destination in its network, thereby offering more than 200 tonnes of capacity each week to the key financial centre that is also the country’s largest metropolis. The twice-weekly wide-body freighter services depart Doha directly for Almaty and the return legs arrive back at Doha via Hong Kong. Major imports into Almaty include general cargo shipments, fashion and hi-tech products. “This new addition further strengthens our global freighter network while expanding our footprint in Europe, which is a key market for airfreight. 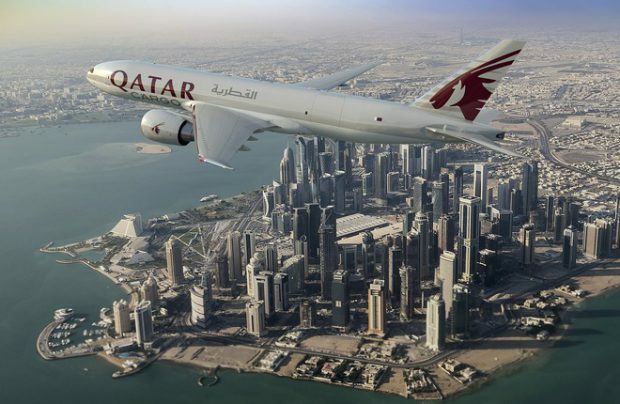 Customers globally are offered a direct connection for imports into Almaty from our hub in Doha,” says Guillaume Halleux, Qatar Airways’ chief officer, cargo. With the addition of Almaty, the cargo carrier’s ‘freighter network in Europe’, as it calls it, has now increased to 16 destinations, although Qatar Airways Cargo also transports freight in the belly-holds of passenger flights in a network operating to more than 50 destinations on the continent. The cargo carrier’s combined weekly cargo capacity to and from Europe is more than 15,000 tonnes each way. In 2018, Qatar Airways Cargo’s volumes increased by 10 per cent on the year before. The airline serves more than 60 freighter destinations worldwide via its Doha hub and also delivers freight to more than 160 key business and leisure passenger destinations globally on more than 200 aircraft. The Qatar Airways Cargo dedicated fleet includes two Boeing 747-8 freighters, 15 Boeing 777 freighters and eight Airbus A330 freighters.